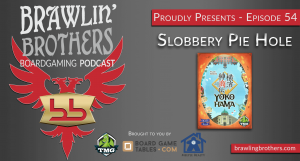 This episode brought to you by Tasty Minstrel Games, BoardgameTables.com, and Meeple Realty – Brandon starts the show in a sticky situation before describing the golden gilded canopy bed that Heavy Cardboard allowed him to sleep in during his stay at Heavy Cardboard Headquarters. Brandon’s trip to Denver involved many exciting moments including a stop at Hyperspace Arcade. 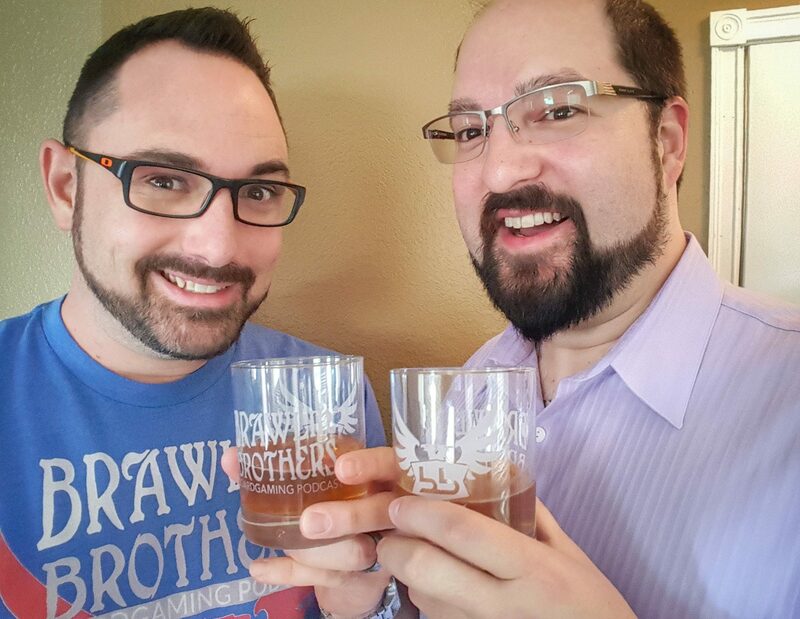 Josh gives Brandon a Whisky & Scotch DATE NIGHT! 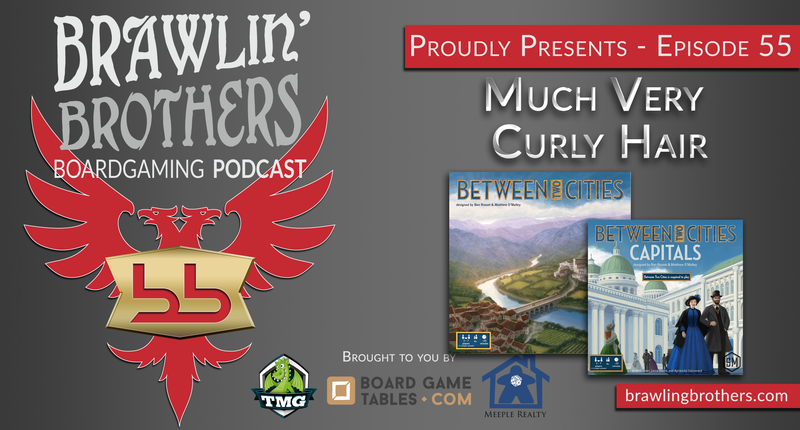 Josh and Brandon present their Between Two Cities Review and bundle in a Between Two Cities Capitals Review. 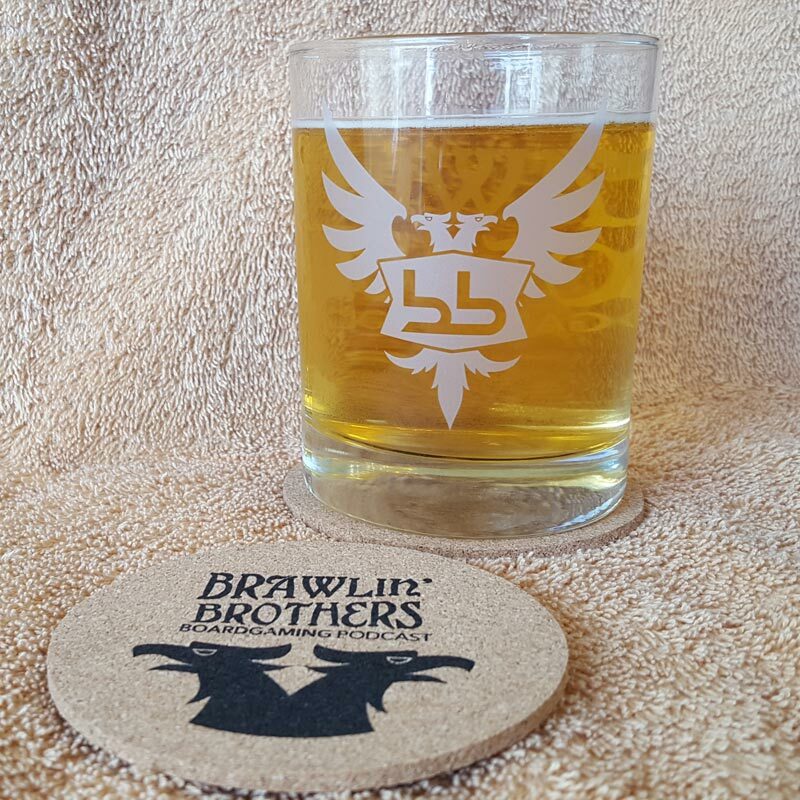 The Brawling Brothers are excited to have Scott Sexton contributing written reviews to our website. “Transcend Time and Transform Your Hairline” is a great slogan that has to be used…. somewhere! Sunwarrior Protein sponsors ALL guest appearances that Isaac Childres of Cephalofair Games makes. 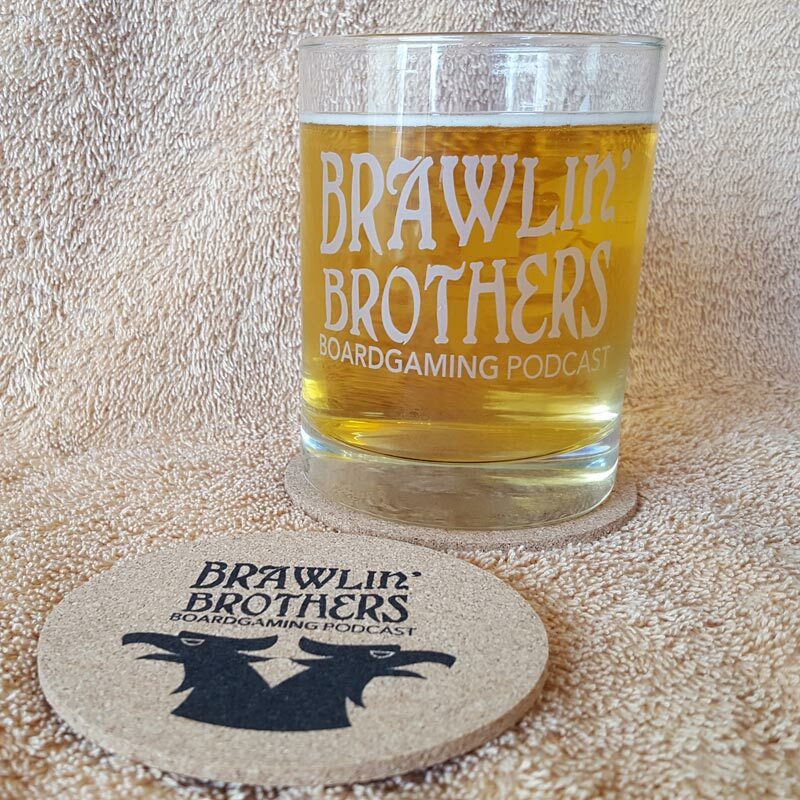 Isaac answers some uncomfortable questions about Founders of Gloomhaven and agrees (at gunpoint, basically) to allow the Brawling Brothers to leave their mark on his newest game! 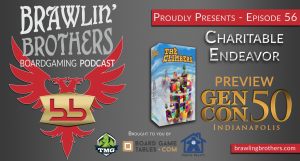 We wrap up Episode 55 with a hilarious discussion about “No-No’s” around the board game table.